An Advance Medical Directive is also known as a health care proxy, durable power of attorney, medical power of attorney, or healthcare agent. Hospitals, doctors and other health care providers must follow your Advance Medical Directive’s decisions as if they were your own but only if the Directive is properly executed. By having an Advance Medical Directive, a doctor clearly knows whose direction is to be followed in the event your family disagrees as to what medical treatment you would want. When Should You Set Up An Advanced Medical Directive? Now. The unexpected in life happens. It happened to one of our good friends. Our friend received a call that her husband had been in a car accident and was unresponsive. He ended up being in a coma for three weeks. Thankfully there was not a dispute between our friend and her husband’s parents. However, if there had been a disagreement about his medical care, an Advance Medical Directive would have been critical. Naming a Healthcare Agent before you need it is critical. 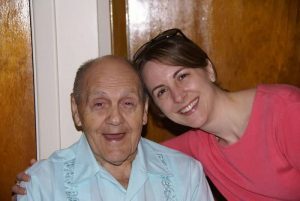 My wife’s grandfather is in the final stages ofAlzheimer’s. If he had recently signed the Advance Medical Directive, the legitimacy and legality of the document could be challenged in court if there was a disagreement within her family about his medical treatment. This is why putting documentation in place before you need it is very important. How Do You Set Up An Advance Medical Directive? All 50 states have forms online where you can establish an Advance Medical Directive. However, the state forms do not always address the important nuances of your healthcare decisions. For example, if you are incapacitated and unable to communicate, but not terminal, what do you want your life to look like? Do you want to be somewhere you can have a pet? A room with a view? NetFlix? By having an attorney help you set up an Advance Medical Directive, you ensure that your wishes are complete and clear to everyone involved. Start having conversations with your loved ones about your medical wishes. These are not easy conversations, but they are important to ensure that your desires are enacted should you be unable to make decisions about your health. And if someone you love has Alzheimer’s or other permanent or terminal illness, it’s important to put into place an Advance Medical Directive before their health significantly declines. Our attorneys specialize in setting up an Advance Medical Directives. I have more than 20 years healthcare experience – working with medical professionals and individuals who need medical help. Further, we’ve personally been through the process with our own families. I can be reached at DJ@JeyLaw.com or 678.325.3872.